Never seen a motion comic before? 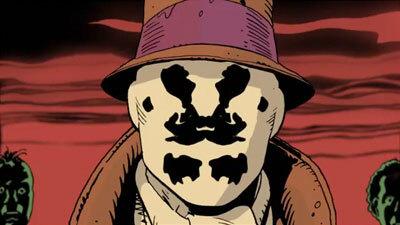 Well, here’s as good a start as any: Watchmen: The Complete Motion Comic. What can I say about Watchmen that hasn’t already been said? Many consider it the greatest graphic novel ever produced – and I’d definitely put it near the top. Many people complained that the film based on it last year was too slavishly dedicated to the source material. Well, this practically is the source material, frame for frame (with only the copyrighted score references missing, replacing the background music with original compositions). The motion comic lets you see the action fold out as it happens, providing a more fluid experience than a panel-by-panel depiction. The biggest drawback is that the voice acting, unlike most motion comics, is all done by a single narrator. And I mean all of it. Seriously, try not to cringe the first time Laurie starts speaking, and you’ll get over it pretty soon. But at any rate, here’s an excellent free way to experience the entire series if you never have before, and an interesting way to see it again if you have. The moving pictures constantly draw your attentions to all the little details lovingly crafted by Dave Gibbons in the original graphic novel (which you may have missed the first time) and that in itself is a real treat. All these moving pictures giving you motion sickness? Well, DC Comics has the first issue of Watchmen available for free. That’s 1 of 12, by the way, so if you’re aching for more, you’ll have to go out to the bookstore, the video store, your local comic shop, the library… heck, this is probably the easiest comic book story to find anywhere. 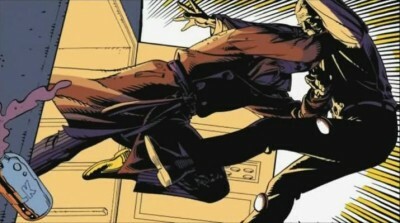 And of course there’s always TheWB.com’s motion comic. Who Watches the Watchmen? We all do! This is actually a million times better than I thought it would be. I tend to read a lot faster than this, so sometimes that’s painful, but I was surprised at how natural the moving art felt – I figured it would be a lot lot worse. Oh, the motion comics animators do an astounding job with every DC property- some time in the future, I’ll write an article for another free one.